Pierre Amédée Varin (1818-1883) [obit.] was the eldest of three engraver brothers from the Champagne region of France. 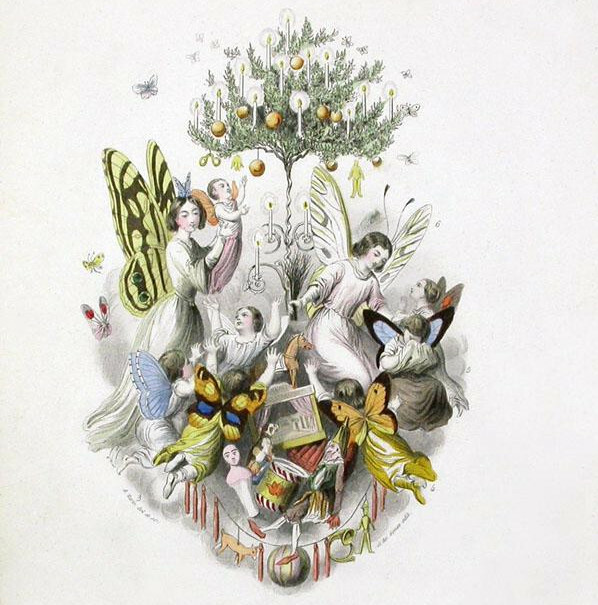 He came from a long family line of artist/engravers that stretched back to the 17th century [Jean Varin]. 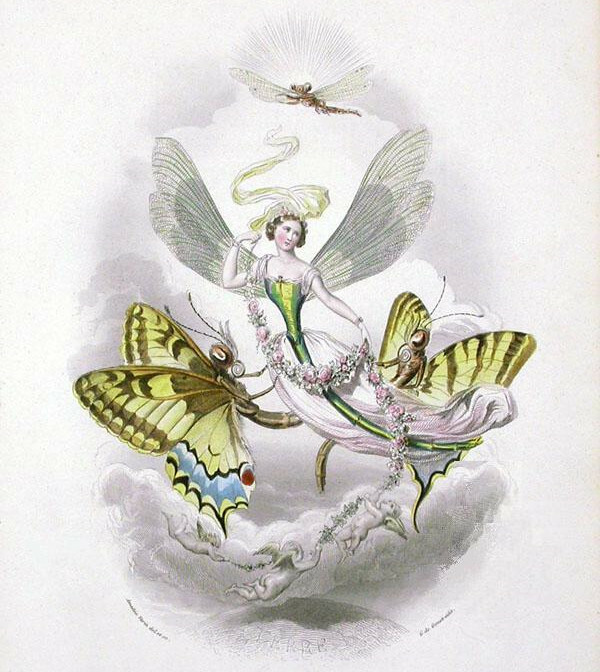 Most of his engraving work was done in partnership with his brother, Eugene. 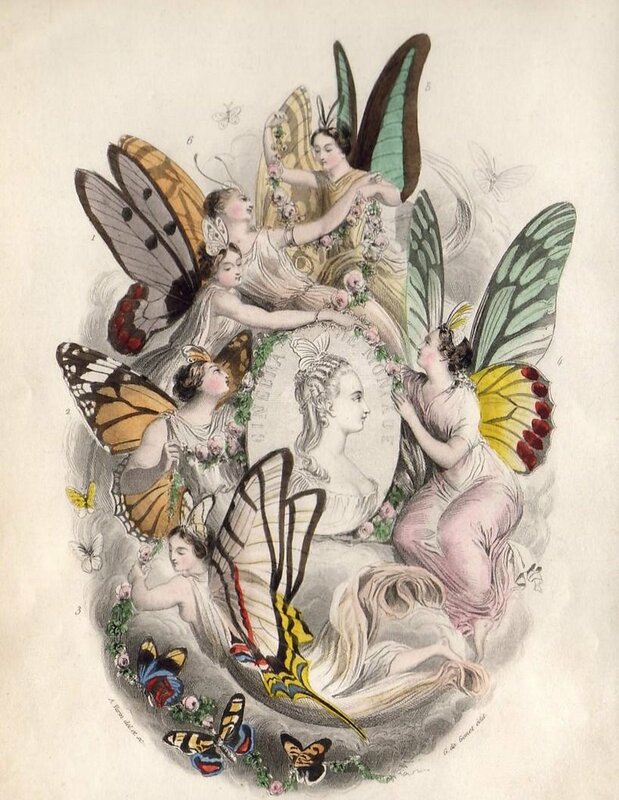 The anthropomorphic illustrations above come from a 2-volume set: 'Papillons - Metamorphoses Terrestres Des Peuples De L'Air', published by Gabriel de Gonet in 1852. 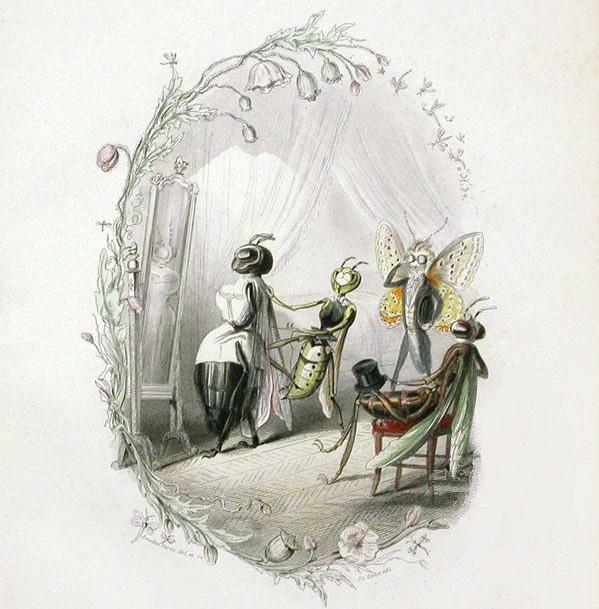 It will come as no surprise to anyone familiar with the illustrations of JJ Grandville to learn that Varin had contributed some engraving work to Grandville's 1843 classic, 'Les Fleurs Animées'. From what I can divine, both of these books are exceedingly rare so it was sheer luck that I discovered a fair number of plates from both have been recently posted at Panteek Prints. 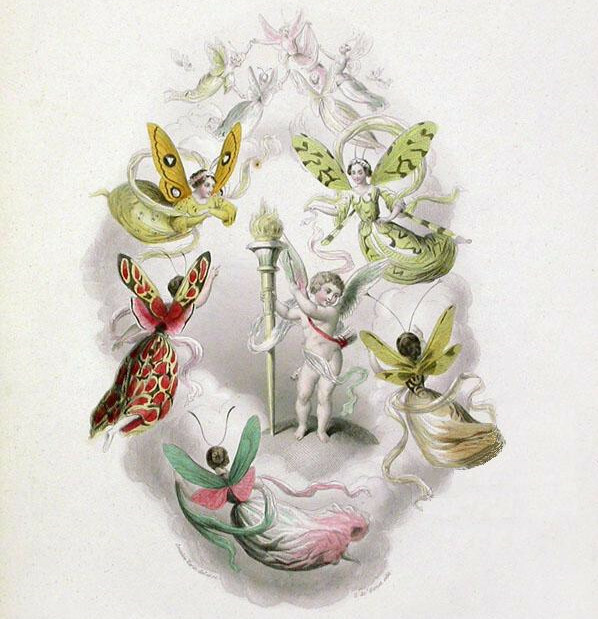 Butterflies and Vegetables (also). Most of the above images (background cleaned and watermark eviscerated) do come from Panteek, but a few were found at Shigitatsu and here. 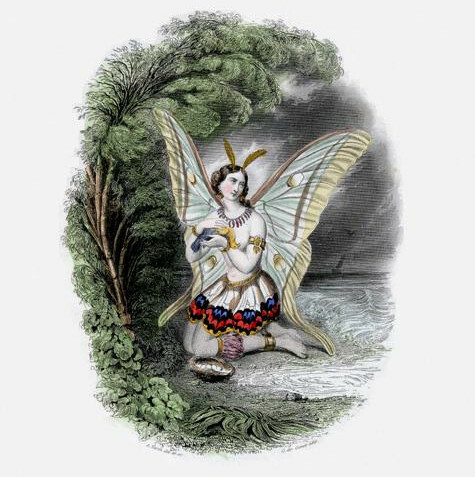 The illustration below ['The Fairy Queen'] has nothing to do with Varin but it's in the same imagery ballpark and I've been holding the link for a while. 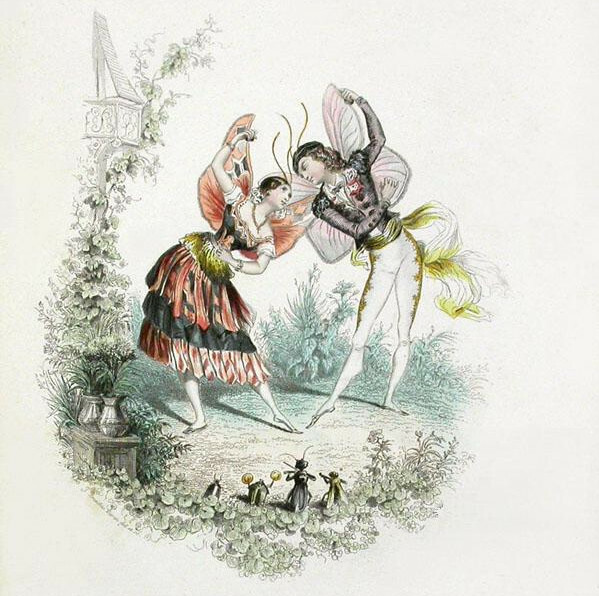 There are a number of illustrations from 'In Fairy Land. 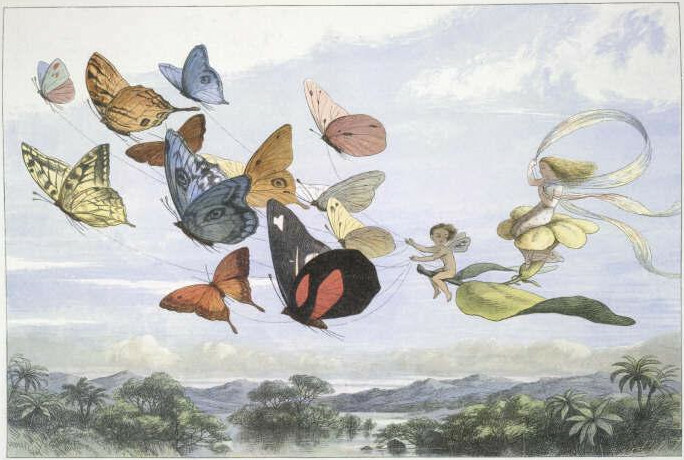 A series of pictures from the elf-world by Richard Doyle. 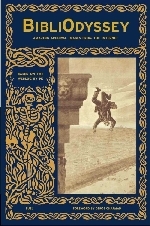 With a poem by W. Allingham' 1870, at the British Library. 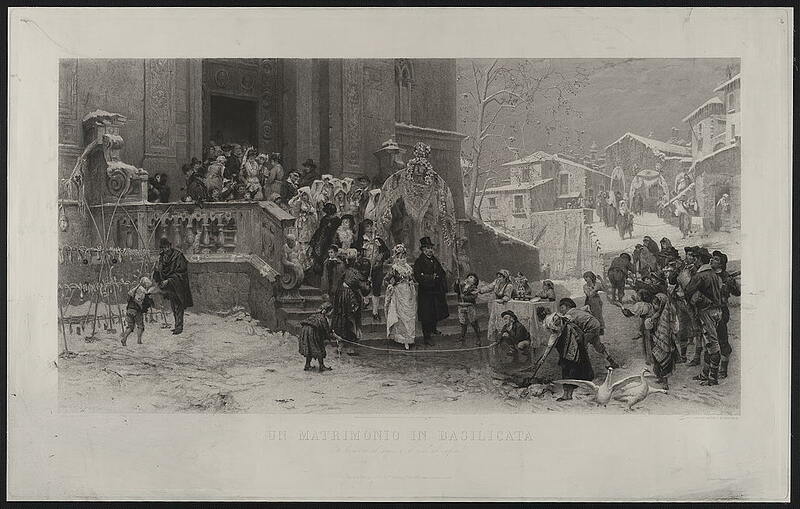 Are these images (and others on your blog) in the public domain? If not, what policy exists on reusing them or incorporating them into art or products? riv, I claim no ownership at all. I have never had any complaint about the manner in which I display items here and I like to think that's at least partially related to my being careful to give proper attribution. It's a tricky area I think. The actual images are in the public domain but the digital files have been created and uploaded by Panteek. So any permissions required for further use ought to be sought from them. Some institutions/galleries/repositories are likely happy and others want to endow themselves with a kind of secondary copyright and income stream from licensing rights. I don't know that there are any definitive legal parameters for this area of intellectual property. 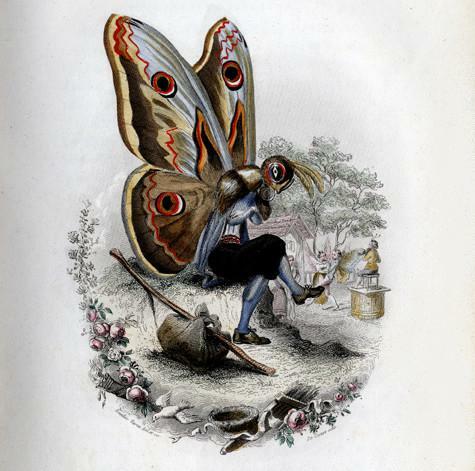 Oh, just to clarify, that last comment of mine was said about the 'Butterfly People' post. Not everything I've posted on this blog is out of copyright. The great majority is in the public domain however (ie. out of copyright). In all cases (well, virtually all - very occasionally I forget the origin) I provide attribution/link(s) and often note specifically if something is under current copyright. Now and then I obtain an artist's permission to post their work. But a lot of the time the images posted here have been cleaned up by me for aesthetic reasons mostly. Again, I don't at all claim ownership over those modified images (we are talking slight anyway) at all. So if permission were to be obtained from the copyright owner or the person/institution that digitized the illustration, it would of course be fine to take the image from here. People ought to abide by the Creative Commons terms posted at the bottom of this page. You see what I'm saying? I own nothing, I take no responsibility for anyone else breaching copyright -- it is a matter they must work out with the owner or the work/original image. I will address any concern that an image or copyright owner has with respect to pictures posted to this site but I cannot take responsibility for what/how people decide to do with these images. And now that I'm here at the bottom of this hole I've been digging, I think I'll have a rest. Thanks for these wonderful posts PK, you really find some corkers. 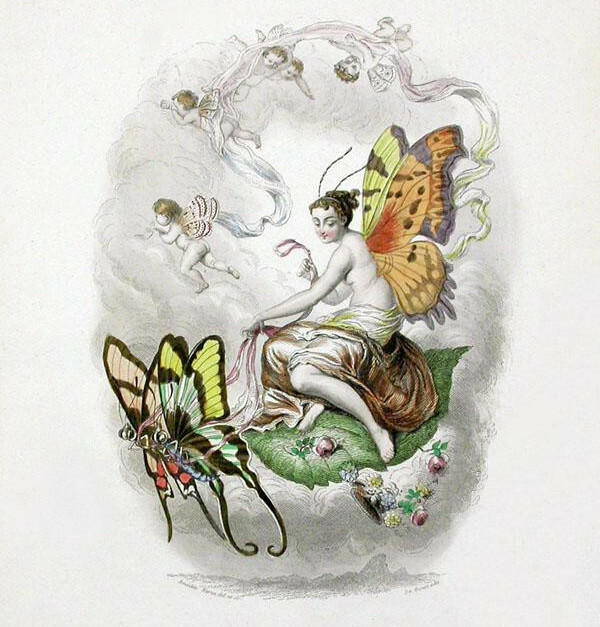 I wonder, as I gaze at these butterfly pictures, whether Alan Aldridge might have seen a copy of the Doyle book before starting work on "The Butterfly Ball"? Thanks Michael, I'd not heard of Aldridge - many of these links are still working. Great stuff. 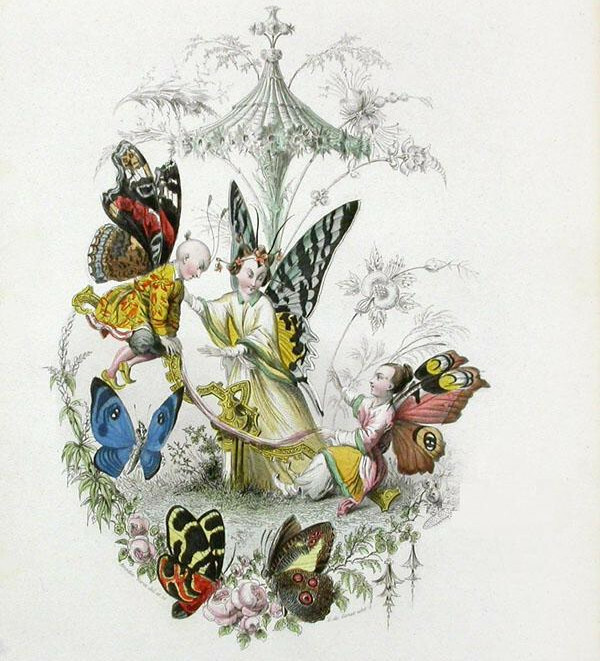 I of course knew the Beatles Illustrated work but had not seen the Butterfly Ball illustrations. You'd swear it was computer art if it came out today. I suppose if I was into producing anthropomorphic illustration work I would have studied up on the genre so my guess would be yes, he probably had seen the Doyle book. 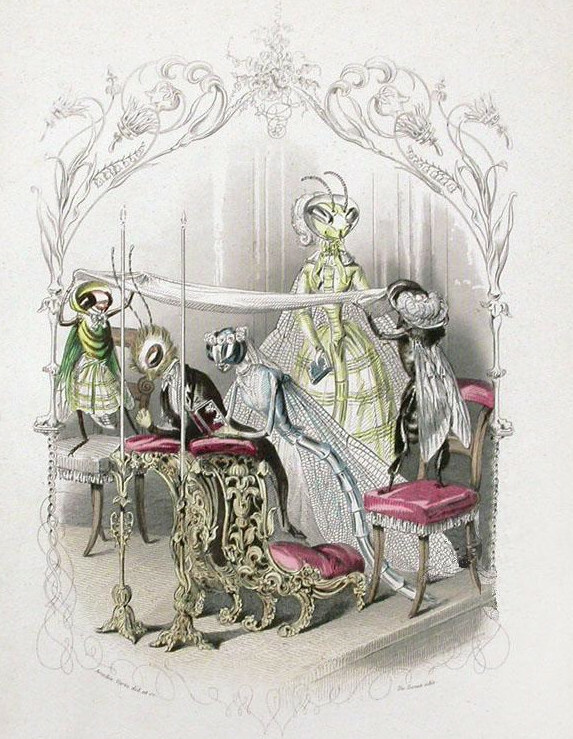 Also see: Ballet Champêtre by Charles Germain de Saint-Aubin ~1756. [via]. Thank you, pk, for this flight through the centuries. beeeeeeeeeeeeautiful picture.From where u take these types of pictures? Anjum, if you follow the links in that block of text below the pictures, you'll find the images [most are from the commercial site: Panteek as I recall).